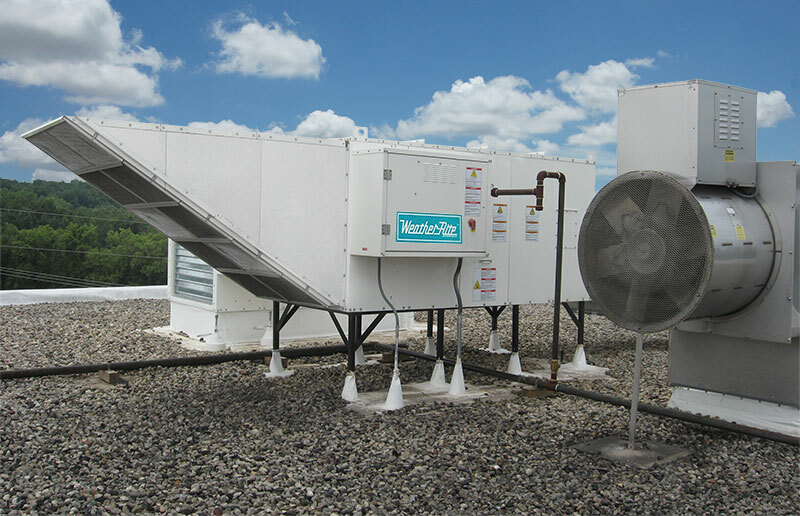 Designed to deliver 100% of burner energy into a heated space, the Weather-Rite™ XT-Series commercial grade direct-fired, make-up air units are an effective, solution to heating, ventilating or pressurizing a space. High quality parts used for unit construction, cabinet frame and wall panels bolt and screwed together to form an efficient and economical, durable make-up air unit for commercial and industrial spaces as well as paint booth and paint finishing application. Our direct-fired air handlers are strong and resilient. WEATHER-RITE™ XT-Series models incorporate a variety of options and control features appropriate for many applications. Applications include: manufacturing buildings, warehouses, commercial kitchens, vehicle and product finishing. Our reputation is built on our direct-fired air handlers. Combined with longevity, efficiency and adaptability our units provide clean - outdoor air, efficienct heating, cooling and pressurization. Our primary goal is to satisfy all of our customers with high-quality products for the best possible prices. Our knowledgeable staff is available for any questions or additional information you may require.